The Evenlode Riding Club is a British Riding Clubs affiliated organisation which was formed in March 1956 to provide training opportunities and competitions for riders in the Cotswolds, particularly for those interested in dressage, showjumping and eventing, or horse trials as it was known then. The club is run entirely by volunteers and has grown from 64 members when it started to the over 100 that it has today. We have a growing junior contingent who, along with the seniors are excelling at Area and National level in a number of disciplines. 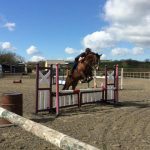 We hold regular training sessions in dressage, showjumping and cross-country at venues in the local area using popular and talented trainers to help our members get the best out of their horses. 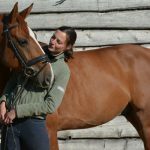 We also run both a summer and winter dressage series of unaffiliated shows for riders from beginner to elementary level. In addition we send teams and individuals to represent the club at area level competitions (BRC Area 18), many of whom then qualify to compete at the various National Championships that take place throughout the year in the core equestrian disciplines. 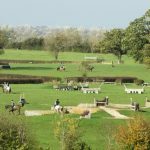 Please use this website to find out more about Membership of the Evenlode Riding Club, to see what we have going on in our Events Calendar and to find out who to Contact if you have any questions. You can also read about our teams and see them in action by browsing Reports and Photos from the various events we have been involved with.